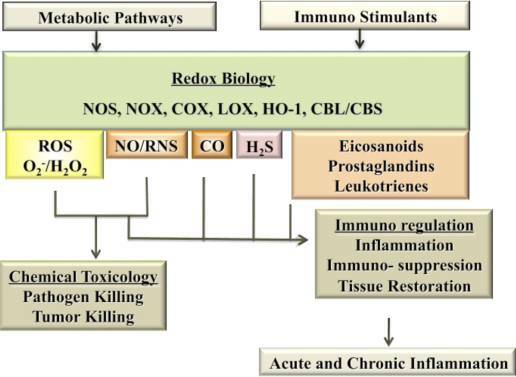 This is a fascinating topic, I like the figures and the reader is been edified about the role of Nitric Oxide in the Immune response, a topic of the lesser attention in comparison with other functions of Nitric Oxide in Health and Disease. We are all looking forward to reading Part II, forthcoming. 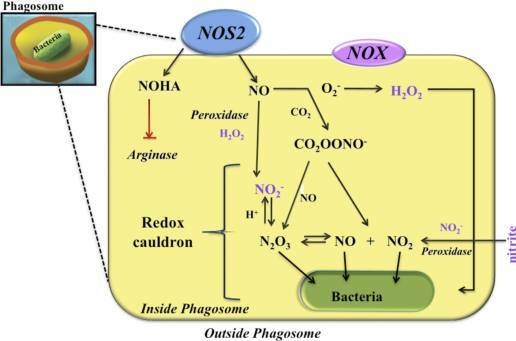 Thank you Aviva, it is very interesting to know the varied effects of NO and its interactions on pathogens. No doubt this molecule, NO, has acquired such an important place in physiology and disease, although it all started from the endothelium. It is an exciting field with widespread implications. Big BOYS work on big challenges. Dr. Larry, I remeber you from Bridgeport, 1983, almost 30 years ago. How are you doing, and everybody else. Cardiology has come a long way since then. Part of the tapestry of life. Amazing. NO is produced by aerobic exercise. Anti-oxidants come from fresh vegetables. Both reduce cardiovascular disease and cancers. Thank You, there are study done by group of scientist under S. Ivanov leadership, who got an interesting results on NO metabolism and also proving based and initial function of NO in yearly stage of the life form development.